Home / Parking Matters Blog / More Access to Cars: Now What? More Access to Cars: Now What? A new analysis by Governing magazine says more poor Americans have access to cars than they did a decade ago and that overall vehicle-miles traveled is up for the first time since 2007. Which seems like good news on the surface, but what does it mean for transit? 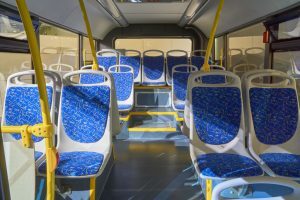 Experts say rising car-ownership numbers among low-income Americans translates to lower transit ridership, which can be a bit of a snowball—people see less people riding the bus so fewer choose to ride the bus themselves. And some experts say a rise in zero-car households seen a few years ago has vanished, raising questions about whether Americans really will be willing to give up their vehicles in favor of shared rides. Read the whole story here and let us know—what do you think?